Faux is delighted to present its unique range of fine bone china ceramics and tableware and giftware designed by leading artists from around the world. Collections include limited edition Artists’ Editions series and the hugely popular Hong Kong and London toile series. Homewares include dinner sets, chinese serving sets, soup bows, tea sets and, large bows and platters. A blue gift box set fine bone china cup and saucer in Faux’s iconic Hong Kong Toile repeat pattern designed by Mariko Jesse. 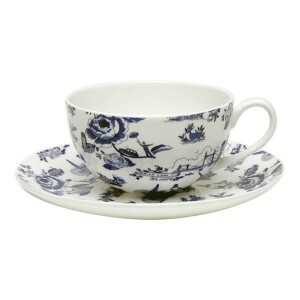 This beautiful artist designed fine bone china Cup and Saucer set will add so much style to your crockery collection. The unique toile design, classic yet contemporary is timeless in every way and these elegant ceramics are a perfect addition to your home décor. Exquisitely packaged, the toile series make for perfect gifts such as weddings and birthday presents. They are also great for festive celebrations such as Christmas, New Year and dinner parties. 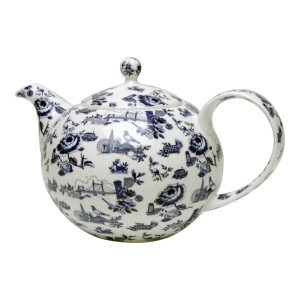 Available in classic blue and white china exportware and red and white.